Mark touched down at Heathrow at 5.50 am Saturday. By midnight the shop's back room was beginning to take shape and was no longer a vile green (much relief all round) or had a sticky carpet. The bank holiday saw the transformation of the back room, which will be our fantastic children's area. It had been rather neglected and is now looking absolutely fantastic, thanks entirely to our friend Paul, who spent gloriously long hours magicking it into something even better than expected. And room for more shelves than we thought . . . better up that book order again. Anyway, enormous thanks to Paul. And thanks to for the ideas and suggestions that keep coming in to us. If we haven't replied (and I know we haven't) it just means that we've been a tad swamped. But Mark finally will leave his job on Friday, which will mean more time to devote to all the things we need to do, although will also mean a final wave good-bye to a salary. The next time we pay ourselves it will be because we have sold some books. (That's Plan A anyway.) While Mark was braving the traffic and fumes of Medan, I braved the hostile wastes of Ikea. And as a bit of an Ikea virgin, I have to say, with hindsight, I definitely picked the tougher assignment. Approaching Wembley, and being reminded of what London traffic was like might have given me an inkling that it might not be the gentle browsing experience I might have pictured. Noticing the half-price sale stickers and driving three times around the car park probably should have had me heading straight back home. As a full-time mum I am pretty used to having a wriggly and impatient two-year-old accompany me doing everything, but as Ikea offered a play area I thought I was sorted for what proposed to be a pretty major purchase. However, children are not even allowed in there under the age of three, so Alex and I did all the shopping together. I think the least said the better about trying to push two enormous trolleys of bookcases while making sure Alex didn't get squashed under the rampaging bargain hunters. And I'm barely going to mention the £115 delivery charge which no-one will actually give you a figure for until you've paid for your furniture and are standing in the loading bay feeling a tad hot and bothered. Wrestling with big companies has been the order of this week. Despite appearances to the contrary, Mark and I have actually been planning this venture for a while. So we have squirrelled away enough savings to make sure we don't need much of a salary for the first year and can cover all the set-up costs ourselves. But we did approach the bank for what we thought was a fairly modest £5,000 for contingencies. The offer of a loan at 15% made us decide perhaps we didn't need a contingency all that badly. How do these firms make any money? Anyway, that's the gripes out of the way. Onto the positive stuff. We do have some before and after photos, but I shall get Mark to show you those later as I can't remember how to do photos on the blog. But if you could see the photos you would notice that the shop currently sells cookware. 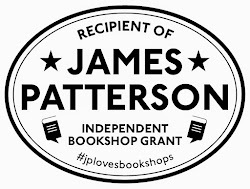 Have we mentioned that part of the plan is to transform the shop into a bookshop without actually closing the shop even for one day? Ah-ha How are they going to do that? You might well ask. We had been trying to find a shop for a while without much luck. We'd gone so far as considering taking over a bookshop up for sale and moving as nothing seemed to come up. Abingdon is going through something of a population boom at the moment. Whereas not long ago half the shops seemed to be empty, as soon as we decided we wanted one, nothing was remotely available. Mark put a few feelers out and one lady, Jill, who runs two shops - one a deli, with food from all over the world, and the second the cookware shop - got in touch. She was thinking about trying to expand in a different way as having two separate shops wasn't working in the way she'd hoped, but she was loathe simply to let the shop go. But we thought it might make for an interesting shop to sell some of the cookware lines alongside the books, partiuclarly being between a deli and Waitrose. It'll certainly make the shop pretty interesting and attractive and, hopefully, will keep some of the current customers coming in - at least until we feel we've got a clue what we're doing. We're also hoping to run some fun travel/food/drink themed events over the summer, particularly as we've been told we can share the courtyard garden with the flat upstairs. Extremely welcome news. We think it'll also make a lovely setting for some author talks (we will be in touch very soon to those who have made kind offers to do one of these for us). Other plans? Well, Abingdon is also turning into a good shopping centre for children. As well as the deli, in our street we have a large and wonderful nursery shop and a newly-opened designer children's clothes shop, and just around the corner is a new children's shoe shop and a toy shop. And none of the them sell children's books. With the safe garden to play in (and the coffee for the mums), we hope to run a few children's activities over the summer. And with a two-year-old ourselves, we've become pretty expert in the things children like too. So we're hoping that will be a big draw for shoppers. Well, that's been a bumper blog. Oh, a final thought on something we really could have done better. We've been getting our stock lists together (this is a job I really wish we'd started earlier). I have to say it has cured me of book buying, because now every time I'm in a bookshop I am too busy trying to scribble down titles surreptitiously on a piece of paper. But (this is where being a bookselling novice has really shown itself), I've hardly got any of the ISBN nos. And having finally got our account from the wholesaler, we have realised that ISBNs are the only way. Bit of a major oversight there and just a couple of thousand titles we need to trawl through and find the ISBN nos for. Ho hum. 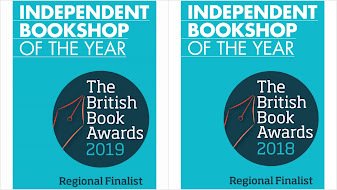 I'm in Cheltenham at the weekend and I daresay I shall find some time to slip in and get a few more titles from the bookshops there before we put our first big order in. I am now addicted to doing this. Don't tell them I'm coming. If you need more Ikea gear there are quite a few small businesses out there who will buy the stuff for you, deliver it to you and even assemble it for you. It probably doesn't cost much more than getting Ikea to deliver and the big plus is that you don't have to go to the store.